My husband doesn’t eat raw carrots but eats cooked carrots. The Imaginative One doesn’t eat cooked carrots but eats raw carrots. So it makes it interesting for deciding what veggies to cook for dinner. I saw this recipe and decided I needed to make it for Thanksgiving. It fit the criteria of: easy, quick, and cooks in the crockpot. During the Thanksgiving parade, I prepped the carrots and let them cook right before dinner. Since my crazy son doesn’t eat cooked carrots, I also made corn for him. Oh, and the taste! They were delicious. Since it was so easy, I may prep the carrots and have hubby put them in the crockpot one day so we can have them for dinner. Spray 2 or 3 quart crockpot with cooking spray. 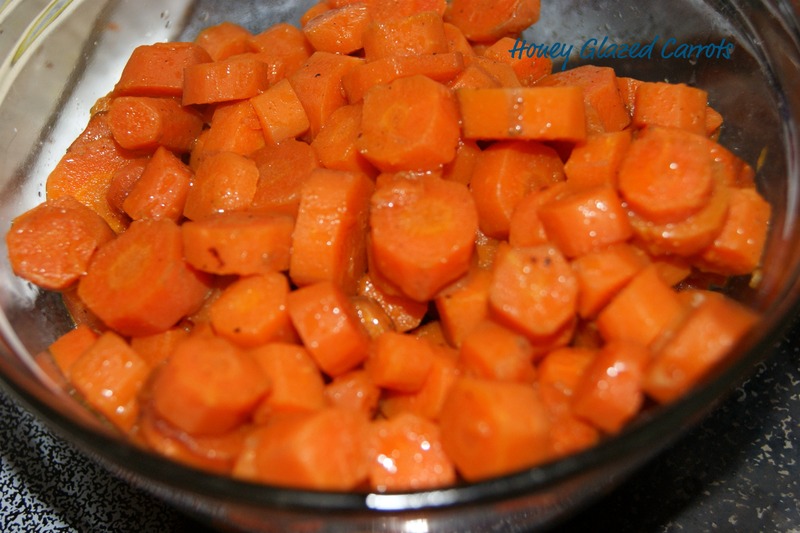 Place carrots in the crockpot along with butter. Drizzle the honey over the carrots.